Kitchen islands are a great addition to any new modern kitchen design, provided there’s enough space to add in a kitchen island. Kitchen islands can serve a number of purposes that can really add value and functionality to the kitchen. Here are some of the more common functions and purposes that kitchen islands serve in most households today. Added counter space. Depending on the layout of your kitchen, you may be lacking counter space to prepare food. Kitchen islands are a great way to add additional counter space to prepare food. Additional storage space. Whether you need more storage space for items underneath the kitchen island countertop or you want overhead space (even for decoration, like pots, pans, wine glasses or even cabinets with clear cabinet doors to see the contents, kitchen islands are a sure way to double up your kitchen storage space. Dining table or seating area. Large farm tables in the kitchen were previously used to add workspace. Whether you need a breakfast nook, a place for people to gather to socialize or a spot for the kids to do homework while you’re preparing dinner, kitchen islands are a perfect choice! A second sink. Having a second sink gives you the option to use one sink for cleaning dishes and one for preparing food. Or, if you have more than two sets of hands helping prepare food, a second sink on a kitchen island is perfect for not making things to cramped or crowded. Stove. If you have a kitchen with a small amount of wall space or counter space, moving your stove to the kitchen island is definitely an option worth considering. Whether you get a more modern stove (such as a convection range or a 6-burner gas stove), kitchen islands give you the flexibility of space that you need to expand your main kitchen appliance. These are just some of the more common functions of the kitchen island. But, whatever function you need for your modern kitchen, you can design your own unique kitchen island to fit your family’s needs and style. This post is brought to you by the good folks at EuroAmerica Design. 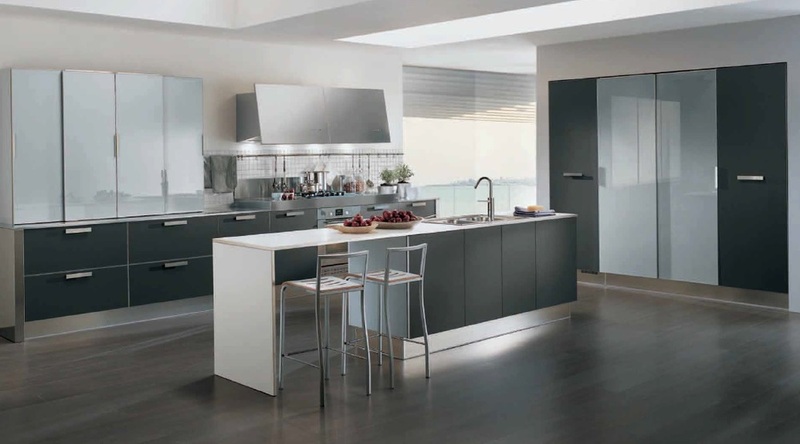 Contact us today for more information on how we can assist you with your next kitchen, bath or wardrobe remodel. We would love to connect with you on Facebook, Houzz and Pinterest.